What is my opinion about Knockout vs. Angular ? An interesting question. There is an easy answer that is both technically and politically correct, that goes like: There is no “best”, each has pros and cons. For which one to use, “it depends”. Angular.JS does more than binding DOM to JS objects, like routing and enforcing code organization, and connecting to REST server APIs, etc., so, the more accurate comparison is against Durandal.JS, which uses Knockout for DOM binding, Sammy.JS for routing, Breeze.JS for REST data interaction (can be used with Angular), etc. Knockout is old, and very mature. It was designed to be very easy to plug it into any jQuery plugin or jQuery UI widget. 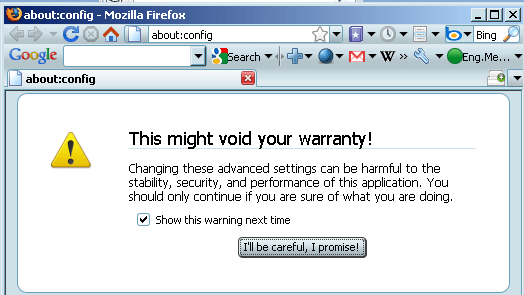 It was also designed to work with all browsers down to IE6. With Durandal.JS you also get the other parts that Knockout itself does not cover. If you are writing an app that depends on very complex “existing” jQuery components that you didn’t write yourself, it may be a better option. Angular.JS is relatively new. It doesn’t feel like new when you see so many tutorials around and very enthusiast community around it, but it does feel so when you look at things like how the official UI components are in complete refactor/reorganization mode for quite a while. Mind you, they still work nicely though. Angular.JS does not care as much about legacy browsers. The lowest they support is IE8 and only with DOM/EcmaScript5/JSON shims, and when things don’t work in IE, the whole thing fails with no particular error line to start with. Having said that, “for me” Angular is the future. I’m not saying that KnockoutJS will die or whatever, it’ll be stupid of me to think so. Angular.JS is very functional as it is now and I used it to save us time in a current project (yes, even with IE support), and along with time and very passionate community (just like Knockout started), it’s expected to get better. Maybe, and maybe not. I have done quite a bit with KnockoutJS, but not much Durandal.JS, hence this should be taken with a grain of salt. There are several comparisons on the web that go into more detail. I just wanted to write my personal take here so that I can refer to it later when people ask. Of course, like many opinions, my opinion itself may change as I learn more or as both libraries evolve more. The first video I published on YouTube (on Angular.JS directives and data-binding) seemed to be going very well. This made me easily fall into the issue I avoided before, which is worrying too much about what might follow. To get that worry off me, I chose a simple topic targeting different audience, recorded and edited it in one night, and just published. This video targets Google Chrome user. It shows a productivity tip that I heavily rely on on my daily PC usage. I have many application-like websites pinned to my taskbar, ranging from TweetDeck to Outlook 365 Web Access. In this video, I simply show how to create these icons. the video is only about 5 minutes in length. There are several things I need to work on to make these experiments more useful (and fun) for everybody. Mainly I need to get used to talking to the mic so that I don’t get that dry throat that I don’t usually have even when facing many people in my offline live events, but also, I need to find topics that YOU guys and ladies are interested in. I’ll try to stick with short videos for now, but please, if you have any idea for the next video, just let me know, and I promise to consider it seriously. All blogs and news websites provide some sort of aggregation feed, usually RSS or ATOM. This allows users to add the feed URL to their favourite aggregator and stay updated with future stuff when they come. This post shows how to get a URL to subscribe to, and how to get multiple URLs if the site provides multiple formats. 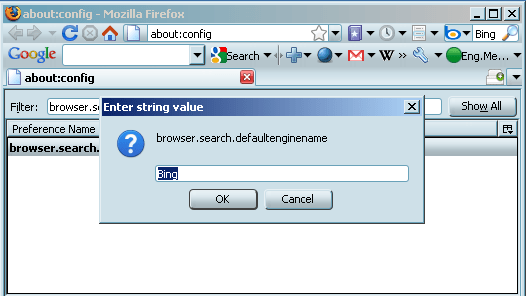 In its simplest form, the syndication discovery is a matter of finding a `link` tag with a proper `rel` attribute (typically set to `alternative`), and a `type` attribute holding the attribute, however, in real life, at least historically, there used to be many variations of the way the discovery was implemented (read the next section for more). One of those who managed to get right URLs for different edge cases was Google Reader. Apart from Google Reader itself, whose closing was part of the reason I wrote this post, Google allows you to use their systems to get the right syndication feed URL of a given page via simply calling a public JSONP API. Even though social media has made people depend on links shared on social media sites (by their peers, or the creators of the feed), the trend of adding a syndication feed to website is a trend that continued to increase in many product and subscription websites, especially that it’s easy to automate social media posts from the feeds after that. As Google Reader will be retired in July, I thought for a minute about what it’d take to put some web based reader together. This was before I learned about the existing awesome alternatives like Feedly and so many others. Then I remembered there was an application I was working on in 2007, one feature we needed and a colleague worked on was getting RSS posts from personal blogs of the site members. I remember seeing him doing all sorts of crazy Regular Expression matches of so many formats to get the URL. Turns out at least at this time different blog providers used different ways to advertise the feed URL in blog homepage markup, there were so many cases, it took my colleague several days to cover a large set of test cases from different providers that we knew our users were using. I wanted to see whether this problem was still a thing n 2013, and tried to see what options we had, hence came this post, you know, just for fun :). Hope some of you were interested in this too! And man, that’s an entire set of handy tools for you…. To have the nicest experience with trying new stuff in Chrome, and ensure as much as possible of what’s referenced here actually work (no guarantee), I highly recommend that you use the "Developer Release" of Google Chrome. This is the most updated release (feels like weekly) that you can set as your default browser on Windows. Also, be warned, if you want to go play with this stuff, especially the browser flags, you could harm your browsing experience or maybe anything worse. Do it on your own responsibility. 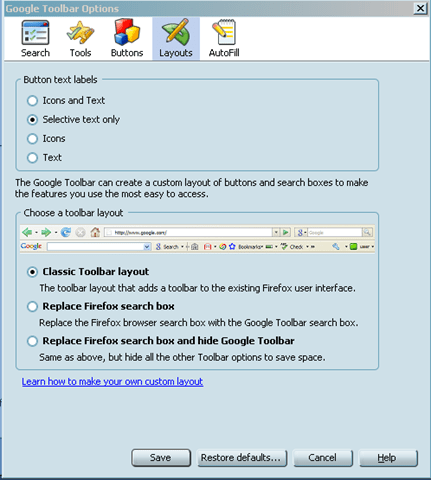 Some of you who use Firefox (FF) might know about a Firefox plug-in called “IE Tab” which allows you to view a page/tab using the Internet Explorer (IE) rendering engine INSIDE Firefox (so, if some page displays better in IE, you don’t have to leave FF and go open an IE window). Now, Google is doing something similar, but the other way around! Google has recently released “Google Chrome Frame”, a plug-in for IE that allows you to view a page/tab using the Google Browser “Google Chrome” rendering engine INSIDE Internet Explorer. This is interesting in two ways, first, it may decrease IE problems with crashes and such, and second, that Google maybe later will drop support for IE rendering engine in its products (like Google Mail, Reader, Video, Youtube, etc..), so that you have to use Firefox, Safari or Google Chrome (or Google chrome Frame) to use these applications. Interesting enough, this is the case already with one of Google’s new products, called Google Wave! They say the reason is supporting IE6!! They did much effort to get it to work with it but it didn’t. Of course the Chrome Frame plug-in is supported under IE 6, so, is supposedly solves their problem! Small Tip: Use your Google Account OpenID URL. But, What’s The URL? Some websites allow you instead of registering and logging-in (meaning re-entering the same information you entered before in so many other sites), to enter what is called Open ID URL, which is a URL given by a another website that you already logged in and has your information (called OpenID provider). Once you enter the URL and continue, you get redirected to the OpenID provider confirmation page whether you want to be able to login to the new website using the same login,which gets redirected back to the new website but this time as logged in user. If your OpenID provider is a popular provider, like Yahoo or Google or so, some websites will give you a shortcut to writing the URL at login by just selecting the provider from a predefined list of providers in the login page. If your provider is not in the list, or the website does not offer any shortcut list at all, you should be able to know your OpenID URL to enter same as you know your User ID or so. 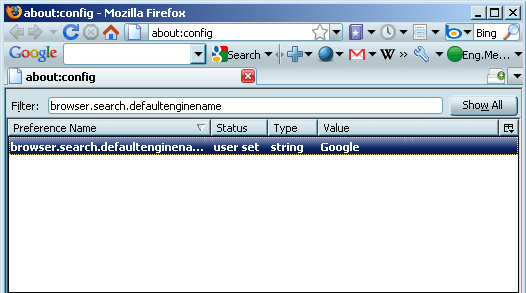 The first relation between Google and OpenID started with Blogger. It first accepted logging in to write comments on Blogger using OpenID, and had Blogger itself become an OpenID provider (you enter your blog URL as your OpenID URL). Why Google did this to Blogger accounts only not all Google Accounts (used for Gmail, etc..)? I don’t know. I think this is because Blogger accounts were not yet merged with Google Accounts at this time. Later Google as a whole became an OpenID provider for all Google Accounts (AKA Gmail Logins), with different OpenID URL. This means if you have Blogger account, you have two different OpenID URLs offered by Google each maps to DIFFERENT LOGIN. Again, maybe because of backward compatibility or whatsoever. If your real blog is not on blogger, and you use your Gmail account primarily, you may want to use the Google Accounts Open ID URL as your OpenID login to all websites that support logging in with OpenID, but, unlike the easiness of remembering a Blogger blog URL, the Google Accounts Open ID URL is a bit ugly and you might not know about it. Note: You do NOT replace the part “ID” with your Google Account user-name/email. The OpenID URL is “AS IS” above whatever the Google Account ID is.. This is the URL I originally posted (from which the below screenshots come): https://addons.mozilla.org/en-US/firefox/addon/12205 – Of course you are recommended to go to the official URL above. Now the add-in is there. In the search bar, click the little triangle at the left and choose Bing. In your browser it may not the first item nor bold as in the pic here. 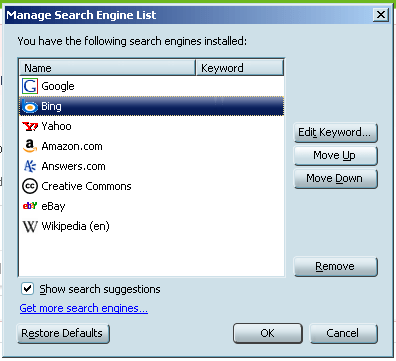 Click “Manage Search Engines…”. Go to Google Settings. In the “Layout” tab, make sure to choose “Classic Toolbar Layout”. Save that. without “http://” or anything, and click the button that appears then. Double click the only result that will show, you get a message box where you should enter text. 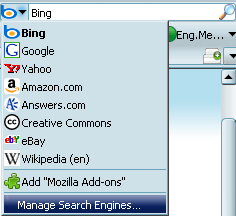 Replace the existing text “Google” with “Bing” instead, and click OK.
Close the window. Your default provider is set. Bing, if you don’t know, is Microsoft’s new search engine, also known as “Decision Engine” since it has features that help answer what you are wondering about rather than just display links. For those wondering about Live Search. I think I read somewhere that both search engines will remain there for a while, then Live will be brought out to Bing. Nothing to confirm yet though. 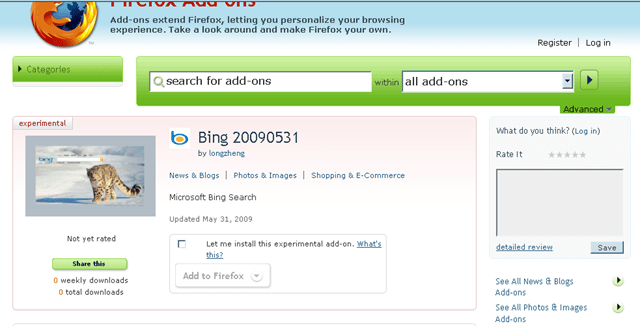 In Bing homepage you read “Live Search is Evolving. Welcome to Bing”. For quick video of what Bing can give to you, check this. For an official introduction about what Bing is, check this. It is a VISUAL STUDIO 2005 PROJECT! Of course we’re talking about the Windows version here :).